This mosaic shows an updated global map of Saturn's icy moon Enceladus, created using images taken during Cassini spacecraft flybys. 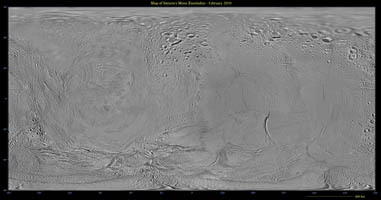 The map incorporates new images taken during flybys in October and November 2009. 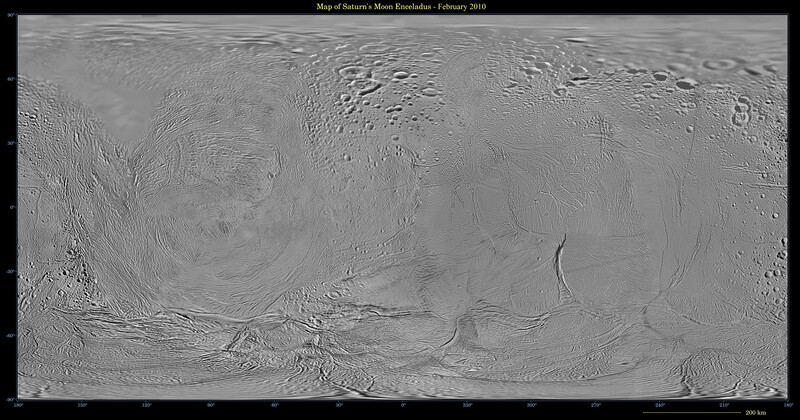 This map is an update to the version released in October 2009 (see PIA11680). 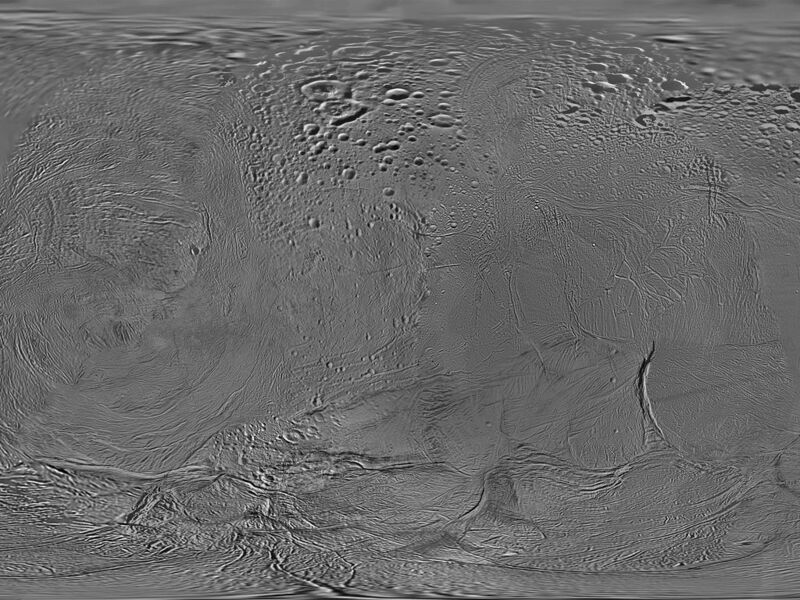 Like other recent Enceladus global maps, this mosaic was shifted by 3.5 degrees to the west, compared to 2006 versions, to be consistent with the International Astronomical Union longitude definition for Enceladus. 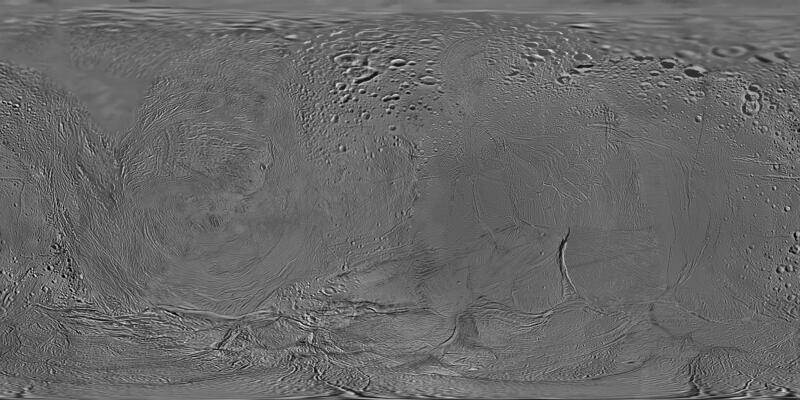 This map contains just one image from NASA's Voyager 2 spacecraft, which visited Enceladus more than 25 years ago. That image fills in the top left of the map from 90 degrees north down to as low as 50 degrees north in places. 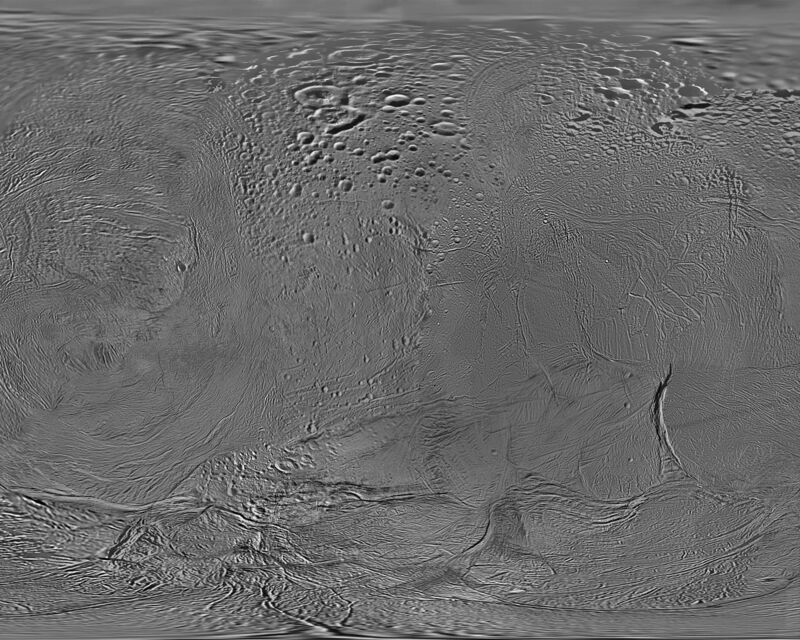 Other parts of the map include low-resolution Cassini Imaging Science Subsystem images. For more information about the Cassini-Huygens mission visit http://www.nasa.gov/cassini and http://saturn.jpl.nasa.gov. 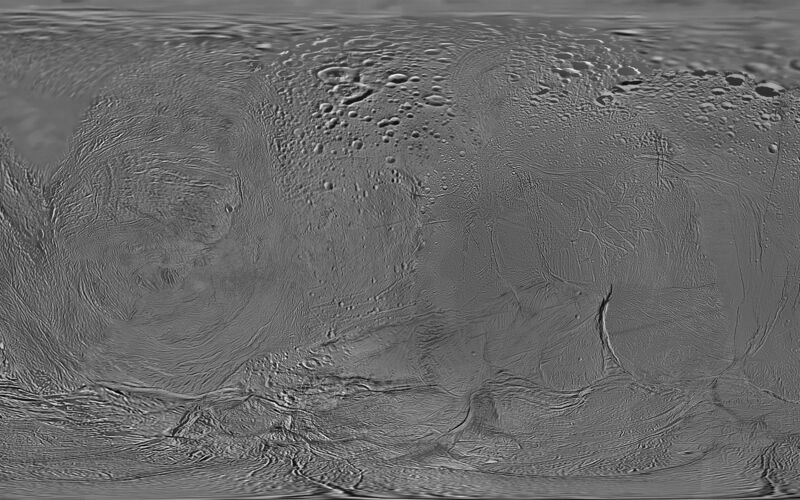 The Cassini imaging team homepage is at http://ciclops.org .